As a trapper, I realize I have a responsibility to become involved when given the opportunity. My wish is to become involved with those who are truly interested in the wellbeing of animals and the future of our effects on their habitat. I am very interested in furthering the education about Wildlife Habitat. 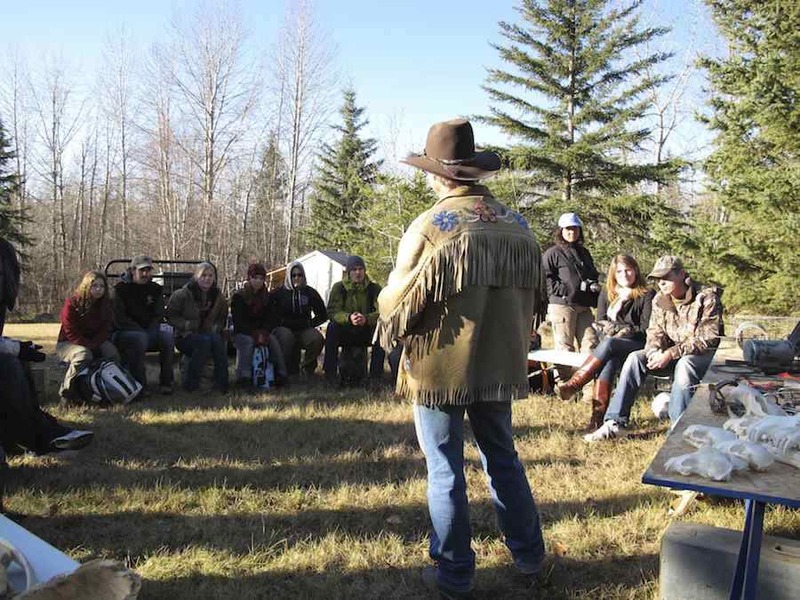 Here I am talking to a group of University of Alberta Environmental Science students about Wildlife Habitat. My involvement includes taking responsibility to manage what is left of a dwindling habitat for some of these animals. - Ross Hinter, Trapper from Alberta. Wildlife control expert or trapper? Who you gonna call? January 27, 2016. Should we be trapping wolves in Canada? November 23, 2015.